Ready To Move Into - Chain Free! Help to buy is available - Government funded scheme. Only a 5% deposit required! 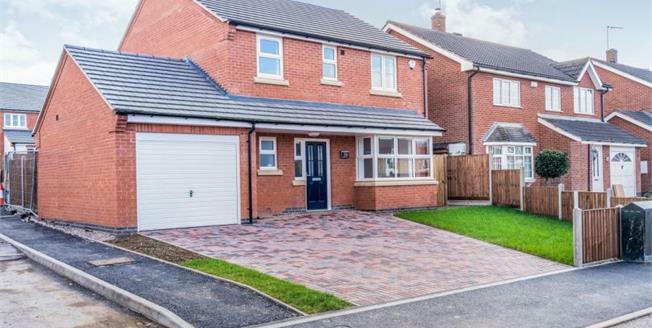 Plot 1 is a spacious family home built with a high specification. Located in a cul - de- sac within the popular area of Glenfield this 4 bedroom detached family home offers spacious modern living. To the ground floor is a lounge with bay window, WC, living kitchen, separate utility and access to the garage. The impressive open plan living/dining kitchen sits at the back of the house with doors leading into the garden and Holmfields quality installed kitchen with branded appliances. To the first floor are 4 bedrooms, master with ensuite and family bathroom. To the front of the property is a block paved drive for off road parking and garage. To the rear of the property is a garden with patio area and lawn. images are of Plot 1. Kathleen Close, Development of 7 quality new build homes.